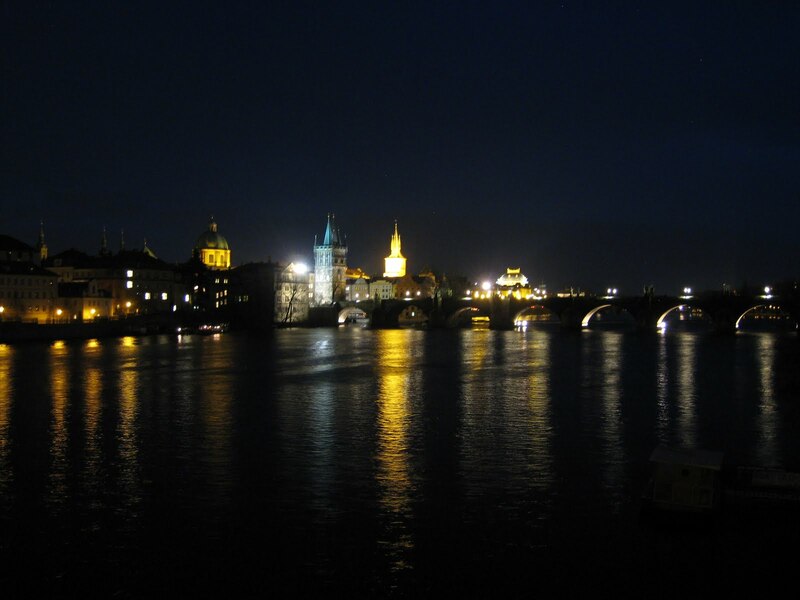 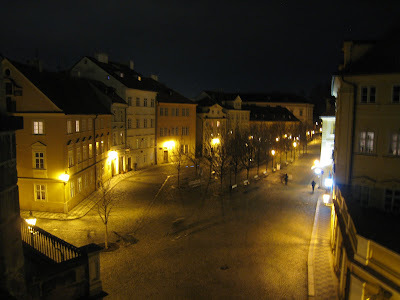 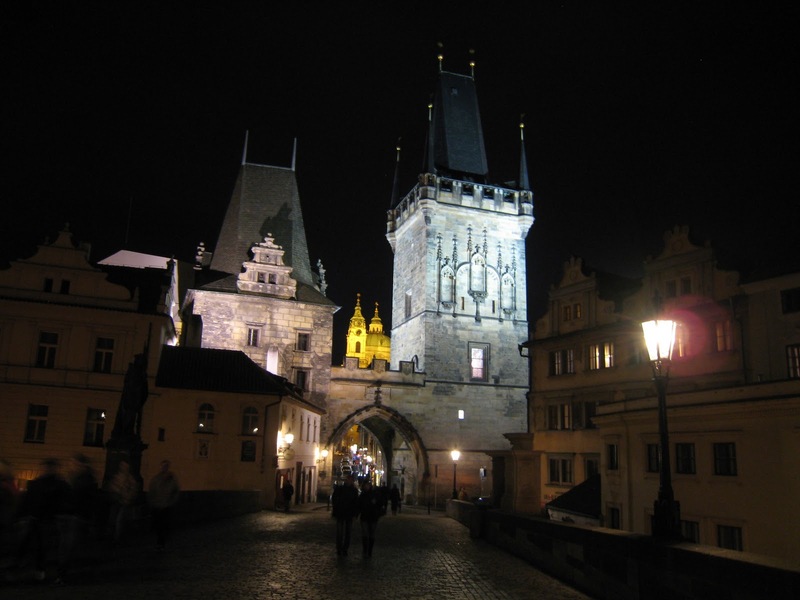 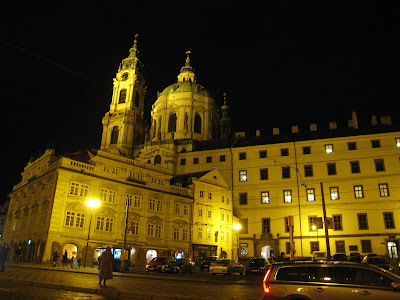 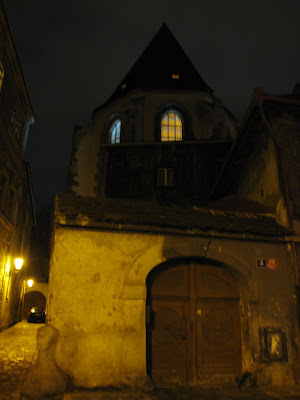 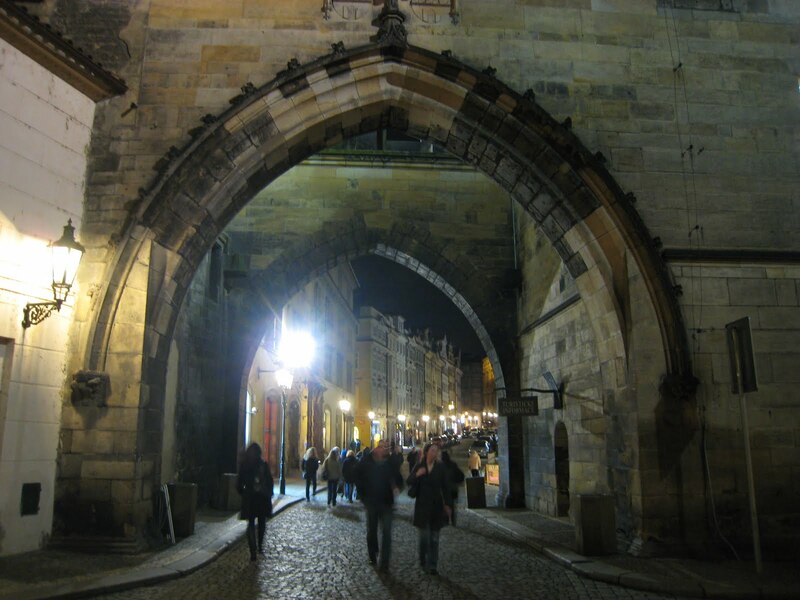 Prague is divided by the Vltava River into two parts, Old Town and Lesser Town. 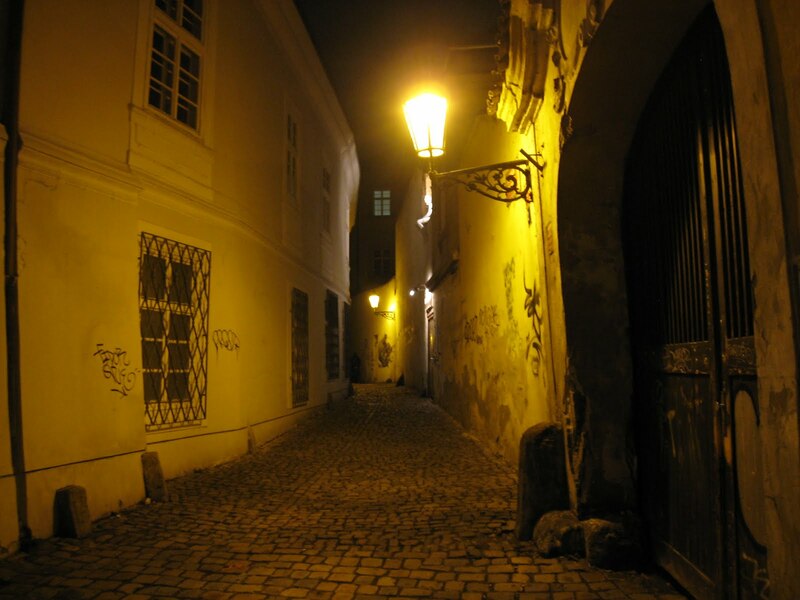 I love how the city is so stroll-able. All this is within a 15 minute walk from the hotel. 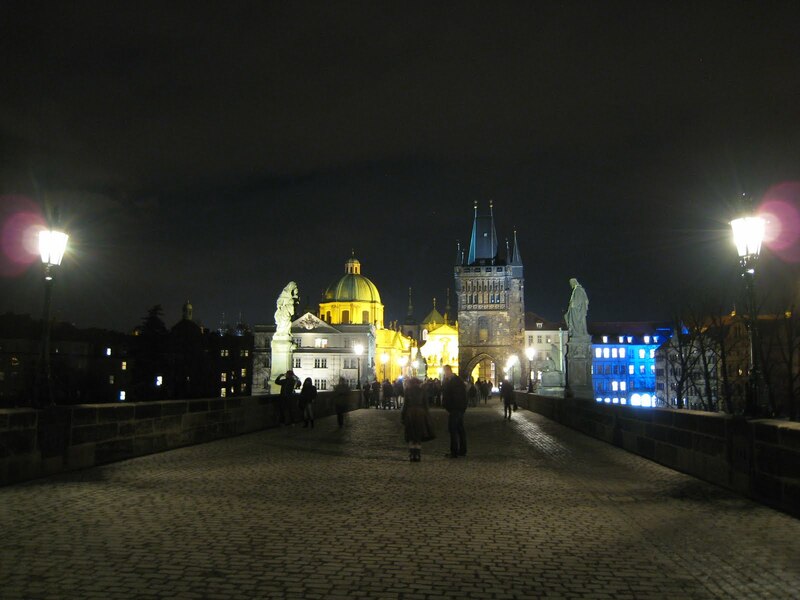 Took a pic of the Charles Bridge from a different side of the city before I headed to Old Town's alleyways. And of course, there are so many Japanese tourists everywhere you turn... 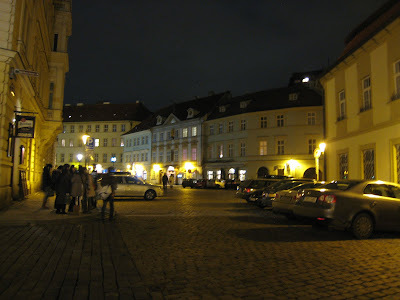 There, a group of them huddling next to a hotel. Ah, my BFFs, I can always counting on bumping into you when I travel. 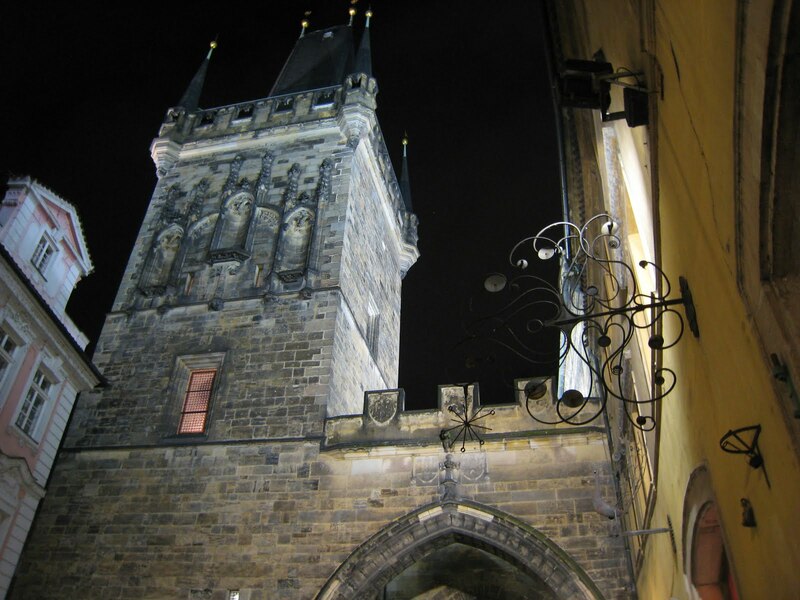 Entrance to Lesser Town from Charles Bridge... promise, this is not a pic I took on a trip to Disneyland. A picturesque square... looks slightly like a movie studio back lot.